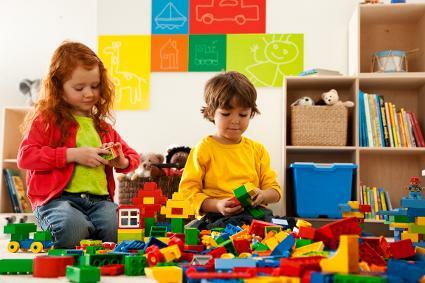 It is now understood that the toys with which kids play has a significant effect on their brain development. Even though many toys are being created every day in this world, only a small number of them is essentially helpful in brain development. Parents and well wishers should be careful about choosing toys for their little ones. As far as possible they should opt for toys which provide a good learning atmosphere while also helping kids to play with them. The brain development needs of kids of different age groups are different. Electronics Discovery kit – Electronics discovery kit is one of the best educational toys so far. It has won many rewards also. It comprises of more than 30 individual parts which can be arranged onto the circuit board. Kids can create some simple devices such as photo sensors, alarms, flashing lights etc. with this electronics discovery kit. It is easy to use and is quite colourful also making it the ideal educational toy for young kids. It encourages the development of fine motor skills and provides firsthand experience in making electronic circuits. LEGO – LEGO is a highly popular educational toy. It comprises of more than hundred pieces which aid in the stimulation of kids’ imagination and creativity. All the parts of this toy are shaped like gears and can simulate imagination. A single gear in this toy can have a significant effect on the motion or movement of adjacent gears. This game enables children to learn how to group, sort, count and design several gearing systems. It promotes problem solving skills, fine motor skills and even fuels the imagination of a child. This is a wonderful option for small kids as well as the set is quite colourful. Mind Blowing Science Kit – You can help your kids to enhance their scientific curiosity with the My First Mind Blowing Science Kit. Through this kit, children can explore the world of chemicals by creating volcanoes, crystals, colors etc. The chemicals provided in the kid are extremely safe and are made from natural products. Exploring this kit will promote abilities like scientific thinking and it also promotes problem solving skills. It is a very good learning activity for either a single child or a group of kids. Write and Learn creative toy – This toy promotes learning by helping kids to write the letters of an alphabet in an enjoyable manner. This game improves the writing skills of kids.